Raquel Villarreal honed her editorial skills in bilingual and bicultural environments, launching and nurturing web properties such as eHow en Espa√±ol and Livestrong.com en Espa√±ol. Prior to that, she gained editorial experience at print magazines such as Time Out New York and Texas Monthly, among others. The lesser-known cousin to popular cod, hake is a lean fish with a delicate flavor and firm white meat. Hake can be prepared with a variety of seasonings — from mild to savory or spicy. When baked in an oven, hake will shrink to half its size when done. Cooking hake fillets in an oven is a simple method for preparing this fish. Preheat the oven to 350 F.
To bake the fish, add your hake to a baking dish with a tight-fitting lid or wrap the fillet in aluminum foil, along with a marinade or a drizzle of oil and seasoning. Consider adding a little bit of water to create steam and keep the moisture in. Cook for about 8 to 10 minutes. A good rule of thumb is to calculate the time to bake as 15 minutes for every 2 pounds, according to TheSpanishCuisine.com. If you want to cook potatoes or other vegetables with your hake, preheat the oven to 390 F and bake the vegetables for 15 minutes, then lower the temperature to 350 F when you're about to add the fish. To roast the hake, grease a baking dish with 1 oz. olive oil. Place the fillets in the baking dish. Sprinkle with salt and pepper. Place thin lemon slices, sprigs of fresh dill and cut butter (6 tablespoons for each 1.5 pounds of fish) around the fillets. Bake in the oven for 12 minutes or until the fillets turn flaky and golden or light brown. Serve with the reduced cooking juice and steamed rice. Although hake is an incredibly flexible variety of fish, it is not flexible when it comes to the time it spends inside the oven. This soft, mild fish can easily become chewy and dry when overcooked, so to check if it is cooked through, touch the flesh — it should feel firm and appear opaque. To get the most out of baking or roasting hake, marinate the fish ahead of time to give the fish a unique flavor. Marinades work well with hake because they boost the fish's mild flavor while infusing it with moisture. "To preserve the texture of the fish, don't marinate for longer than an hour," said Nigel Slater, author of "Appetite," "Eat" and "The Kitchen Diaries." 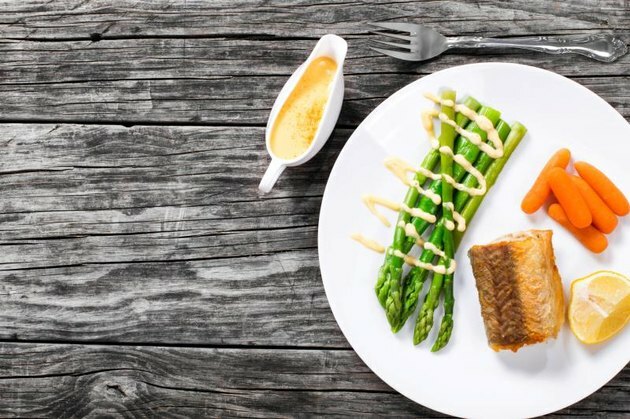 You can marinate hake in soy sauce, oils, vinegar and/or lemon juice and a range of herbs and spices such as ginger, coriander, garlic, chili flakes or fennel seeds, or you can chop fresh herbs such as parsley, dill, rosemary, basil or oregano and scatter your choice on top of the fish before serving. 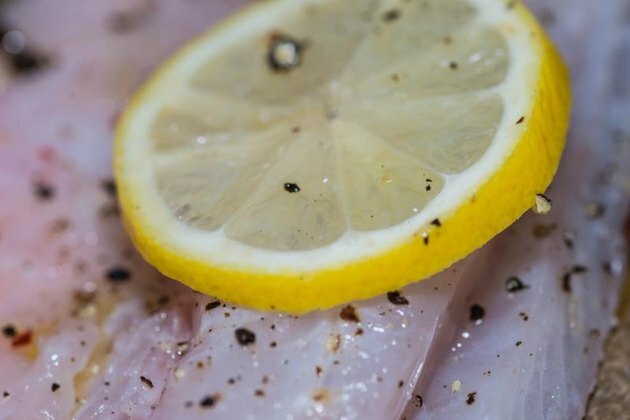 For more seasoning suggestions, check out this article on how to season cod. Also known in the United States as ling or whiting, hake are part of the cod family but have a milder flavor. They tend to swim in the deep end of the ocean, usually at depths of over half a mile, according to the Marine Stewardship Council (MSC). Hake can be caught in different parts of the world, usually in the Atlantic and North Pacific oceans. According to GreatBritishChefs.com, the regular fishing season goes from November through March, and their breeding season is between February and July. If you are concerned about sustainable fishing practices, don't buy hake during breeding season to avoid buying fish from depleted stocks. 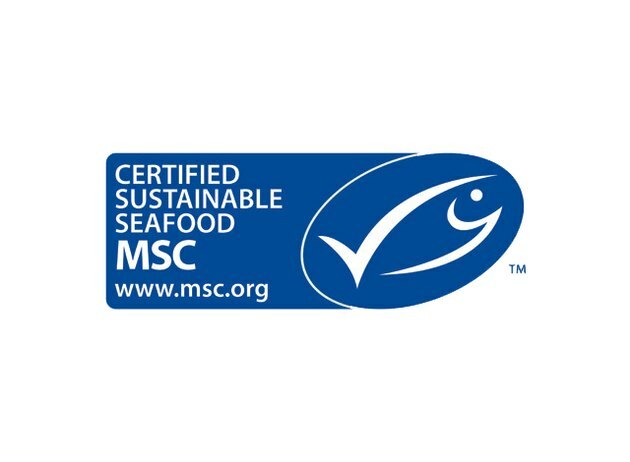 You can also look for the blue MSC logo when choosing your fish so you can be sure it has the council's stamp of approval. To find MSC-approved shops and restaurants, click here. Read more: Which Fish Contains the Least Amount of Mercury? How to Know When Fish Is Done Baking in the Oven?